We’re taking too many Roman holidays. Italy’s minister of culture and tourism has suggested that his country needs to limit the number of tourists visiting some of Italy’s most famous sites, particularly in Rome and Venice. Rather than charge a fee to enter—how do you charge a fee to visit Venice, anyway?—the minister proposed “new, non-invasive technology” that would count the number of visitors, then prevent access once a maximum number is reached. His idea could affect the number of visitors to such famous sites as the Colosseum and St. Mark’s Square, and we should note this isn’t the first time the Italian government has cracked down on people abusing their leisure industry. Whether it will actually happen remains to be seen, but expect something will eventually be done: these landmarks are getting older, the world population is only growing, and Italy is only getting more popular. Fights over flights. 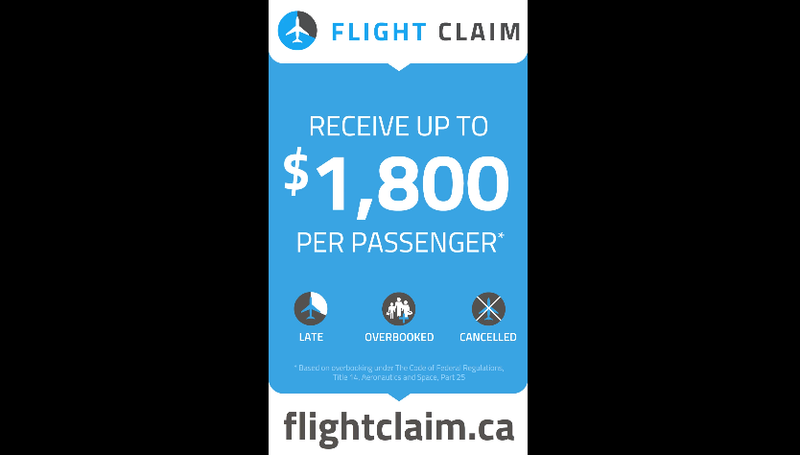 You could get up to $1,800 per person in flight compensation, according to ads by a new passenger advocacy group called Flight Claim—but you won’t see their ads in Montreal’s or Toronto’s major airports. Montreal’s airport initially put the ad up, but took it down after a matter of days. The reasoning, a spokesperson for the Montreal airport told the CBC, was that they “did not want to have a conflict between airlines and passengers,” and added the ads were put up erroneously. Reps from Toronto’s Pearson airport said they didn’t put the ad up because they didn’t want to confuse customers regarding Canada’s upcoming air-passenger bill of rights. Genuine business concerns or national-scale conspiracy theory? You decide! Everyone loves Saskatoon, apparently. A month-long poll hosted by USA Today of the best Canadian destination cities has produced, we might say, unexpected results. Coming in at number one was St. Andrews, New Brunswick—which is a solid if surprising choice for a poll voted on by readers of USA Today. Quebec City was ranked number two, then Nova Scotia’s lovely Lunenberg and, in fourth, Saskatoon, which is, I think we can all agree, an odd choice. “Saskatoon is a young and vibrant city, the largest in Saskatchewan and a hub of country and rock ‘n’ roll music,” they wrote. Well, sure! Why not. The prairie city beat out Montreal (#6), Canmore (#7), Niagara (#9) and Banff (#10)—which, again, I mean, good for Saskatoon and all, but it just seems weird, right? Do Airlines Deserve All This Abuse?